Just installed my factory roof for my 2019 X2. Im not overly impressed with some of the mounting methods. Specifically, I dont really care for the metal screws tapping into the plastic mounts. Seems they could have just ran a bolt all of the way through and use a nut on the other side to secure it. My photo isnt loading to show what im talking about. Wow thats interesting. 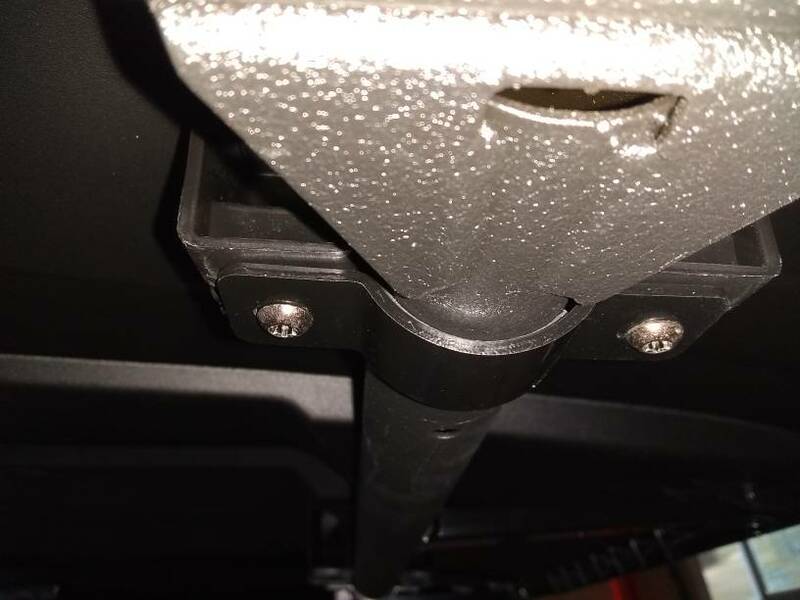 The X4 roof uses bolts attached to metal clip nuts ( u nuts ). There are 2 clip nuts in the front for the 2 support brackets. The support brackets are metal and seem solid. The remaining 6 clamps (3 front and 3 rear) use a metal screw that taps into plastic. Knowing this now, it makes me weary trailering it. I might have to put a strap across the roof, even if it's just for piece of mind. they seem pretty rugged actually. have not had any problems trailering. the last generation was the same way. didn't't have a problem with that one. Hopefully I never have an issue, but I'm not overly confident about it. I still may drill through the plastic and use my own nuts and bolts to secure the straps to the roof. With thousands of trailer miles my old 2016 Wolverine had rode never once did I feel the roof was going to come off, I'm sure that my X2 will have just as many trailering miles and again I won't have a concern of the roof departing the machine. Yep, never heard of anyone having an issue in over 4 years. on the topic of X2 roofs,,, Does anyone know if Yamaha makes or will make a headliner for it? There is one listed in the Yamaha X4 accessories. If not, has anyone tried to add some soundproofing to it and what was used? Did it work etc. Are your front Factory Roof Brackets Installed Incorrectly ? X2 SE Factory Wheels or ITP SS212s?